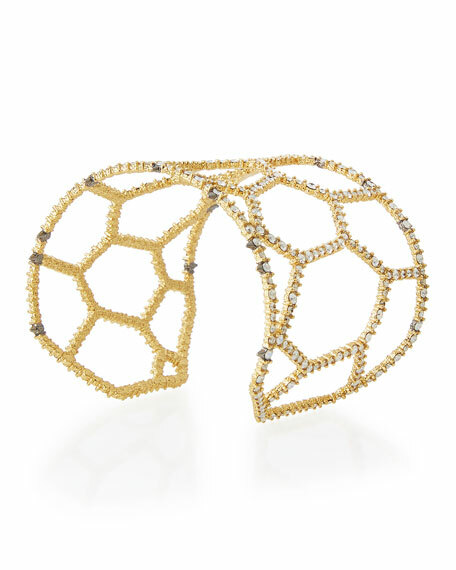 Alexis Bittar honeycomb cuff bracelet. Pavé crystal trim with ruthenium spike details. Split back for slip-on style. 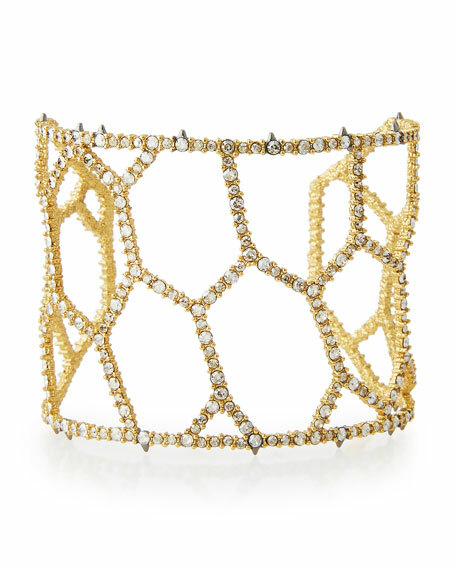 Inspired by a box of antique jewelry he received from his parents as an adolescent, Alexis Bittar embarked on a jewelry-making career that emphasized intricate attention to detail. His bold pieces have attracted the attention of acclaimed designers around the world (he has collaborated with several well-known fashion houses on their own jewelry collections) and his pieces can be found in such museums as the Victoria & Albert in London. For in-store inquiries, use sku #1742496.